On December 3-4 2015, the European University Institute and the Global Policy Initiative of Columbia University convened a workshop of around thirty scholars, practitioners, and high-level UN officials to discuss “Protection, Peacekeeping, and the Individualization of War.” CIVIC was invited to share its experiences and perspectives on the “Micro-level Dilemmas of Protection in Peacekeeping.” CIVIC’s Senior Program Manager for Africa and Peacekeeping, Kyle Dietrich, gave an overview of CIVIC’s growing work across Africa and answered three overarching questions aimed at improving civilian protection in peacekeeping. Below are his remarks as prepared. 1. Question: What is CIVIC? 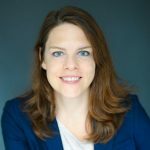 What does CIVIC do to advance the protection of civilians in armed conflict? CIVIC works to operationalize the physical protection of civilians by strengthening the policies, practices, tools, and training of armed actors, including peacekeepers. We believe this begins by building a ‘protection mindset’ across all groups directly or indirectly involved in a conflict. We conduct extensive field research to better understand the experiences and perspectives of civilians and armed actors living through armed conflict. We conduct high-level advocacy, convene and mobilize civil society groups to improve self-protection and foster the necessary political incentive for officials to improve protections afforded to civilians. We work with armed actors to help them lessen harm that results from their own operations. We call this work civilian harm mitigation, which includes prevention, monitoring and capacity building, and post-harm assistance to civilians accidentally or incidentally harmed by military operations. We examine structural patterns of harm, institutional impediments to protection, and help armed actors understand why protecting civilians and mitigating incidental harm is in their strategic interest and possible. As we look at protection and peacekeeping today, we see a big gap between the normative framework and aspirational language in peacekeeping resolutions and the reality on the ground. There is a great need for analysis on how peace operations affect micro-level protection dynamics. 2. Question: How do peacekeeping strategies support, or undermine, the micro-level protection strategies of individuals? The simple presence of UN peacekeepers in a conflict changes the protection calculus for vulnerable communities. 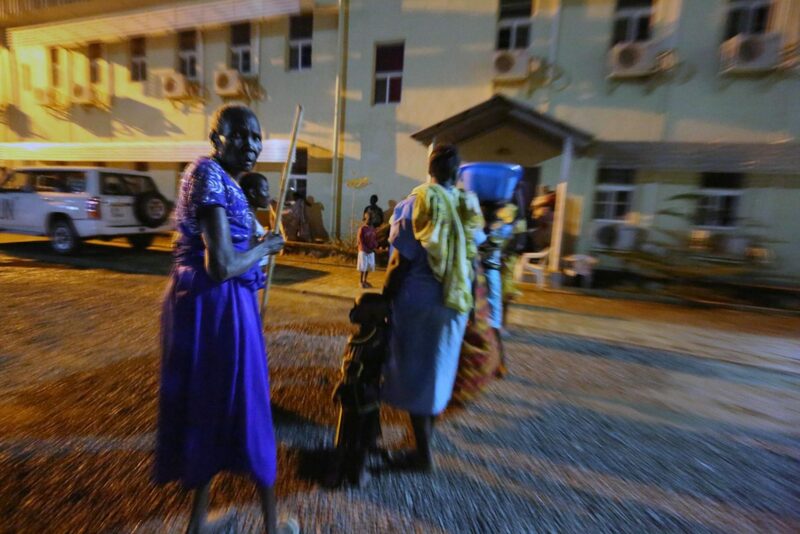 For example, in South Sudan, we see civilians going to UN bases in order to have the protection of peacekeepers. This has become central to civilians’ self-protection strategies. For much of the recent conflict, the UN Mission in South Sudan (UNMISS) was primarily a physically static provider of protection, although there are some encouraging signs of more dynamic protection efforts. Civilians in South Sudan perceive the UN mission as having no mandate outside of camps and no mandate (or willingness) to project force, use weapons, or proactively protect civilians beyond the camps. Peacekeeping protection efforts have often prioritized the protection of UN staff, assets, and bases. Peacekeepers should do more to protect civilians in their communities. To be sure, POC (Protection of Civilians) sites in South Sudan are an important development to monitor. Without the UN’s presence and protection, there would likely be greater displacement to other parts of South Sudan and refugee flows across international borders into Sudan, Ethiopia, and Kenya. The UN-run POC sites help civilians stay in their regions despite the presence of active conflict. 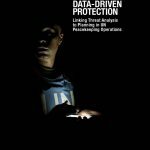 Despite ongoing reform efforts, including many outlined in the HIPPO report (High-Level Independent Panel on Peace Operations), our recent research from several countries across Africa (DRC, CAR, Mali, and South Sudan) finds that peacekeepers are primarily reactive, rarely proactive, and are often unable to implement important community engagement strategies to help local communities increase their own self-protection. Deeper community engagement by peacekeepers will be key to understanding and finding ways of strengthening micro-level protection strategies. Further thought must also be given to troop deployment as well, shifting away from large static bases to more highly skilled, technical, agile and rapidly responding forces, particularly in places such as Mali and the DRC. The Secretary General and DPKO have begun to recognize these challenges and promised needed reforms. 3. Question: How does the pursuit of protection of civilians by peacekeepers influence the tactical and strategic aims of warring parties, and their actual conduct of hostilities? Obviously warring parties don’t all have the same goals and these goals often evolve throughout the life of a conflict. In theory, the pursuit of POC by peacekeepers should influence the state party to the conflict to better abide by its legal obligations, to protect civilians, and act as a deterrent between warring parties. But when we look at contexts like South Sudan and DRC, we see that parties to a conflict continue to commit abuses despite the UN’s presence. When we look at armed non-state groups, the pursuit of POC by peacekeepers could create an opportunity to increase legitimacy for groups wanting to abide by some standards and gain credibility. However, other armed groups openly oppose and target peacekeepers, such as in Mali. 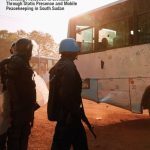 Despite many robust mandates calling for peacekeepers to use, “all necessary means up to and including the use of deadly force aimed at preventing or responding to threats of physical violence against civilians,” many warring parties in countries where we have undertaken research don’t appear to respect or fear UN capabilities. Warring parties and civilians are largely aware of how the UN has operated in other conflict zones. Armed groups in places such as Mali, DRC, and Cote d’Ivoire test the waters to see what can they get away with before the UN responds. In South Sudan, state security forces (SPLA) quickly learned that they could deter peacekeepers from moving by land, water, and air, thus limiting the UN’s ability to proactively protect civilians. Several times armed actors have attacked UN barges and helicopters without peacekeepers responding with force. Similarly, in Cote d’Ivoire, youth militia often set up ad-hoc checkpoints, or simply lay down in the street, in order to deter UN patrols, including armored vehicles. The UN has in many places become timid and warring parties know what they can get away with and how to manipulate them. Civilians and armed groups also know which Troop Contributing Countries (TCCs) are more passive in their pursuit to protect civilians. In today’s information age, warring parties know far more about the limits, vulnerabilities, and patterns of peacekeeper behavior than we think. While peacekeepers fall short, it is important to note that significant progress has been made in how peacekeeping missions are oriented toward protection. Twenty years ago protection was an emerging concept. Ten years ago POC was often the responsibility of a single protection advisor in a large peacekeeping mission. Today is it prioritized across peacekeeping missions and mandates. The gap that warring parties exploit is that POC is not effectively implemented and there are few, if any, incentives for peacekeepers to proactively protect civilians from physical harm. There are many incentives to avoiding the use of force and almost no consequences for failing to protect civilians. Protection is facilitated by more robust human rights monitoring by the UN and groups such as Human Rights Watch and Amnesty International. Human rights documentation has played an important role in influencing the tactics of warring parties. But again, these groups don’t stop committing abuses. They just get better at intimidating communities, controlling the media, hiding mass atrocities, and using tactics like mass graves to conceal their abuses. Our research finds that abusive high-level military and armed group leaders often know human rights and humanitarian law principles and can talk the talk, thus allowing them to mislead enough people. But these principles are not institutionalized in their chain of command and training and therefore abuses persist. 4. Question: What strategies should be adopted by peacekeepers at the micro-level to enhance protection? For over a decade, CIVIC has intervened in over a dozen countries to help armed actors better understand the impact of their operations on local communities. 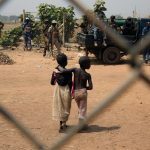 While the UN does not want to be perceived as a party to a conflict, it must create tools to make it more effective at protecting civilians, mitigating operational harm, and understanding the impact of its presence and operations on local populations. Although they rarely use it, Chapter VII-mandated peacekeeping missions have the capacity to use force. In order to enable the use of force to proactively protect civilians, peacekeeping missions should adopt several standing policies and practices. For example, there is currently no standing policy on post-harm assistance in the UN. If a UN vehicle accidentally hits a civilian there is a third party liability mechanism and compensation is available to victims. But if peacekeepers accidentally harm civilians during the lawful conduct of their operations, there is no mechanism for the UN to acknowledge harm caused and amend the damage or injury in a culturally appropriate way. By harm, we mean displacement, injury, destruction of property or livelihood, and death. This tool would strengthen planning and response measures and better enable peacekeepers to physically intervene between perpetrators and civilians to mitigate violence. Other measures that peacekeepers should expand to improve micro-level protection include long duration patrols, robust checkpoints in contested areas, temporary and forward operating bases, and deeper community engagement through community liaison assistants and civilian harm mitigation advisors. These innovations will help the UN and peacekeepers better understand their operating environments, the needs of people, and how they can increase protection. Community engagement will help local populations understand the roles and responsibilities of peacekeepers and help peacekeepers better understand the experiences and expectations of those they are supposed to protect. Where civilians’ expectations are greater than the protection and assistance provided, communities lose confidence in the UN. Without mutual trust and shared ownership of protection, peacekeepers often disengage from protection activities and tension between peacekeepers and communities increases. When civilians rely on peacekeepers for protection and peacekeepers fall short of local expectations, civilians also become more vulnerable. Kyle was the senior program manager for CIVIC's Africa program until November 2016. A graduate of the Fletcher School of Law and Diplomacy at Tufts University and Harvard Divinity School, Kyle has also worked with Mercy Corps, UN Peacekeeping, Navanti, USAID, the Peace Corps, and Peace in Focus, a boutique peacebuilding organization he co-founded in 2007.